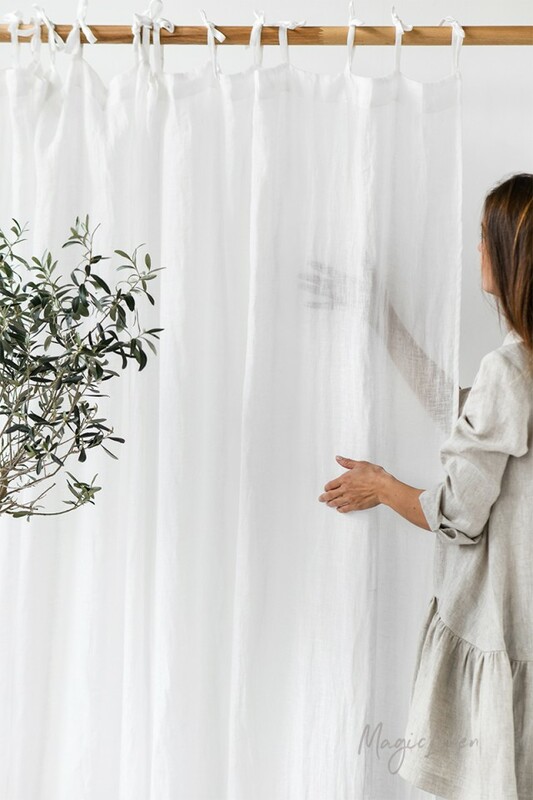 Sheer linen curtain panel in optical white color. Soft and easy draping, this linen curtain panel is made from a lower weight fabric meaning it is sheerer in comparison to our other curtains. 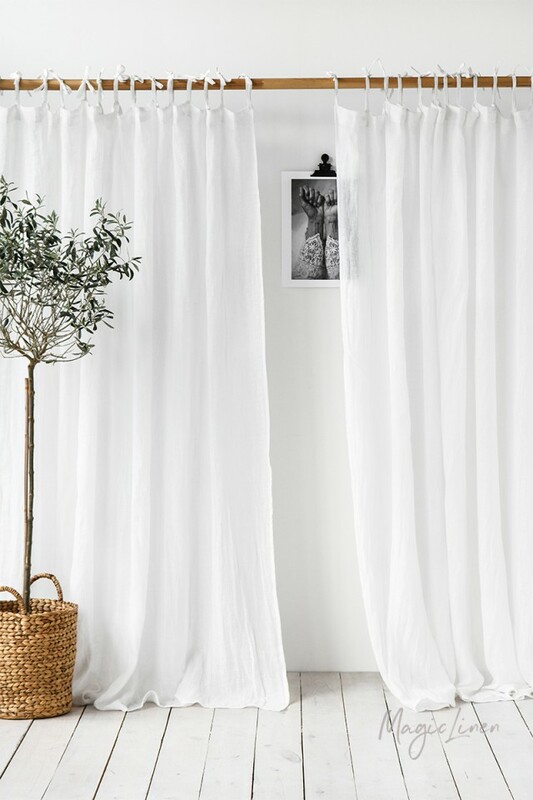 Can be used to cover windows and doors as a day curtain or separate large spaces from each other. Fitted with a tie top header for easy hanging. 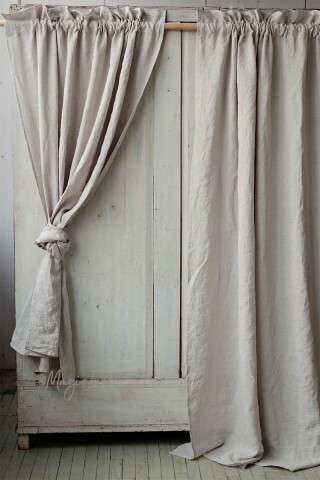 Note: Tie length is NOT included in the overall curtain length. Expect additional 2" / 5 cm.